By William D. Lipkind, J.D., LL.M. (Taxation) & Steven J. Oshins, J.D., AEP (Distinguished) For many years, practitioners have used the so-called DING Trust to save substantial state income taxes for their clients. “DING Trust” is short for Delaware Incomplete Gift Non-Grantor Trust. It’s an irrevocable trust that the settlor sets up for the benefit of himself and other discretionary beneficiaries. Transfers to the trust are not completed gifts for gift tax purposes, yet the trust itself is the owner of the assets for income tax purposes. Because the trust pays the income taxes, a settlor who lives in a high state income tax jurisdiction can transfer assets to the trust and the trustee can sell the assets or accumulate interest on dividend income without any state income tax liability. 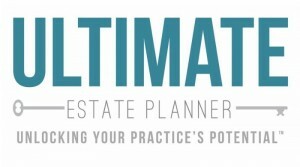 Through incredibly impressive marketing on the part of Delaware, many estate planners assumed that this type of trust could only be done in Delaware. However, this type of trust may be domiciled in any state that has no fiduciary income tax on its trusts and which allows self-settled asset protection trusts, which are trusts that the settlor sets up for the benefit of himself and are protected from the settlor’s creditors. So, all along, the same type of trust could be domiciled in other favorable jurisdictions such as Nevada, Alaska and South Dakota. Notwithstanding the marketing done by Delaware, there were similar trusts set up under the laws of these other favorable jurisdictions. In early 2012, Chief Counsel Advisory 201208026 was issued which created a shock among the estate planning community. This Advisory held that retaining only a testamentary power of appointment avoids a taxable gift over the remainder interest in the trust, but is not enough to avoid a taxable gift of the interest held for the current beneficiaries. Thus, if this is the IRS’s position, the settlor must also retain a lifetime power that would cause an incomplete gift. However, the problem is that just about any retained lifetime power would also cause the trust to be a grantor trust for income tax purposes. For this to work, if the settlor is a beneficiary, then the trust must be established under the laws of a domestic asset protection trust jurisdiction. Of the leading domestic asset protection jurisdictions, only Nevada has a statute allowing the settlor to retain a lifetime power of appointment. Since one exception to the grantor trust rules is to retain a lifetime power of appointment for health, education, maintenance and support in a non-fiduciary capacity, Nevada currently seems to be the jurisdiction to use for these trusts. Under Nevada law, this would be called a NING Trust, otherwise known as a Nevada Incomplete Gift Non-Grantor Trust. On March 8, 2013, the IRS issued PLR 20131002 approving just such a trust under Nevada law. This is a landmark Ruling that is sure to open the doors for many practitioners to take advantage of this unique opportunity for their clients who live in high state income tax jurisdictions. Those clients who either have a low-basis asset to sell, or have a sizable portfolio of assets that would not be considered source income in their high state income tax jurisdiction, now have the means to save significant state income taxes using this novel strategy. William D. Lipkind, Esq. of Lampf, Lipkind, Prupis & Petigrow, P.A. in West Orange, New Jersey and New York, New York and specializes in the area of taxation and estate planning. Mr. Lipkind was admitted to the New Jersey bar in 1967 and was admitted to the U.S. Tax Court in 1971. He served as the Law Secretary to Justice Nathan Jacobs, Supreme Court of New Jersey, 1967-1968. He drafted the NING Trust and applied for and obtained PLR 20131002 in March 2013 approving the NING Trust. Mr. Lipkind can be reached at 973-325-2100 or at lipkind@llpplaw.com. Steven J. Oshins, Esq. of Oshins & Associates, LLC in Las Vegas, Nevada. He is rated AV by the Martindale-Hubbell Law Directory and is listed in The Best Lawyers in America® and was named the Las Vegas Trusts and Estates Lawyer of the Year by The Best Lawyers in America®, an honor given to only one lawyer. 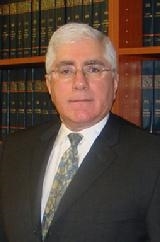 He was voted into the NAEPC Estate Planning Hall of Fame® and was inducted in 2011. Mr. Oshins was hired by William D, Lipkind to provide the Nevada state law review for the NING Trust that was the subject of PLR 20131002. Heidi C. Freeman, Esq. from Oshins & Associates, LLC worked jointly with Mr. Oshins on the state law review. Mr. Oshins can be reached at 702-341-6000, ext.2 or at soshins@oshins.com.